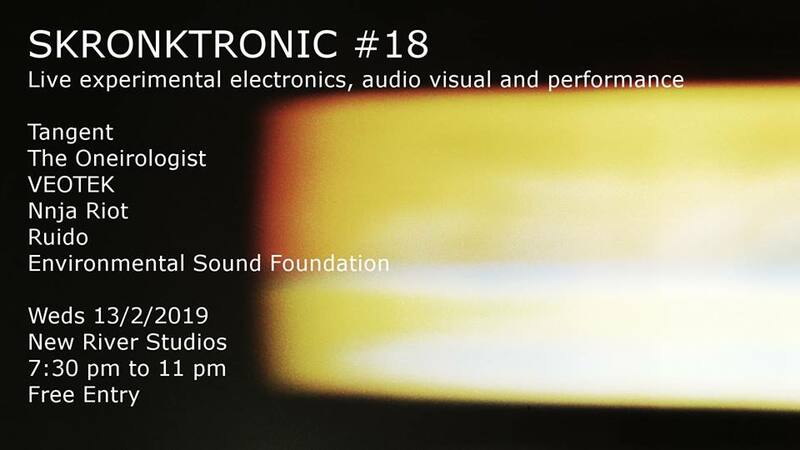 #18 in our series of electronic events, and first one of 2019, come along and watch an amazing collection of artists. Ruido, back again soundscaping, Rui always delivers a captivating set. Tangent, SKRONNKTRONIC debut of one man noise machine, no idea what he’ll do. Nnja Riot. Lisa is back but her first set with us as Nnja Riot, always a popular addition to SKRONKS.